Like the Spirit of Food Assembly felt everywhere! You are cordially invited to our Spring Tasting Extravaganza evening and sample all kind of delicious local produce that is available to order every week from our wonderful local farmers and foodmakers. 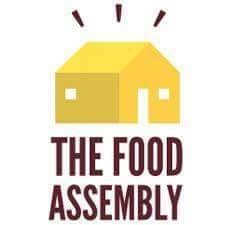 Food Assembly is about delicious, seasonal & local food, providing a sense of community, good fun and a fairer deal for farmers and producers. The Food Assembly has recently been named in The Observer Food Monthly’s Top 50 for ‘easier ethical food shopping’ so come, find out for yourself how easy it is to SAY YES TO LOCAL! The Spring begins so let’s celebrate together the best of SouthWest produce!